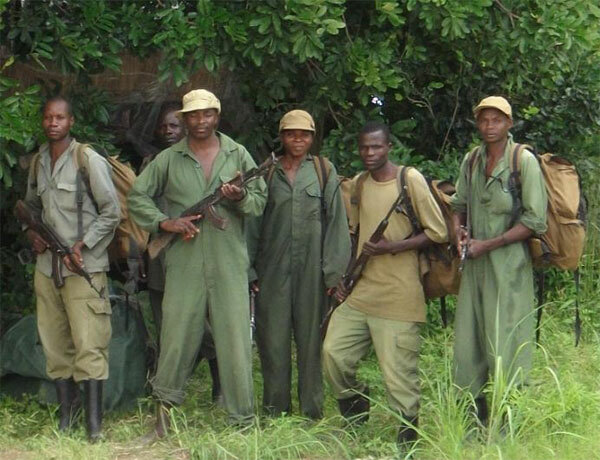 TITLE OF PROJECT: Supporting village scout anti-poaching work in South Luangwa, Zambia. SLCS was awarded a grant from the International Elephant Foundation of $12,491 in January 2011. 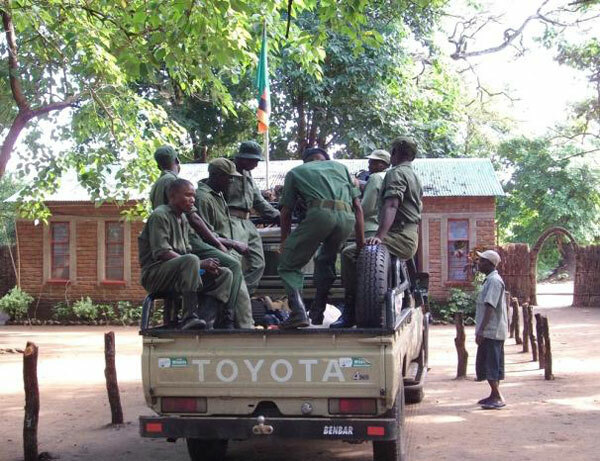 The grant was primarily made available to SLCS to support village scout anti-poaching work in South Luangwa and is specifically targeted at supporting the law enforcement activities of the village scouts, with the objective of strengthening capacity of the village scouts and the community in the area of elephant protection and conservation. Supporting village scout anti-poaching activities is pertinent to the current protection of elephants in South Luangwa and is essential for the long term future of the species in Luangwa. Continued maintenance and support of the Kakumbi village scouts law enforcement body by means of supporting patrols, equipment, rations and fuel. Capacity building within SLCS and the CRB’s. All village scouts have a contract of employment with their respective CRB’s but are assisted in managing these scouts through the skilled personnel within SLCS. 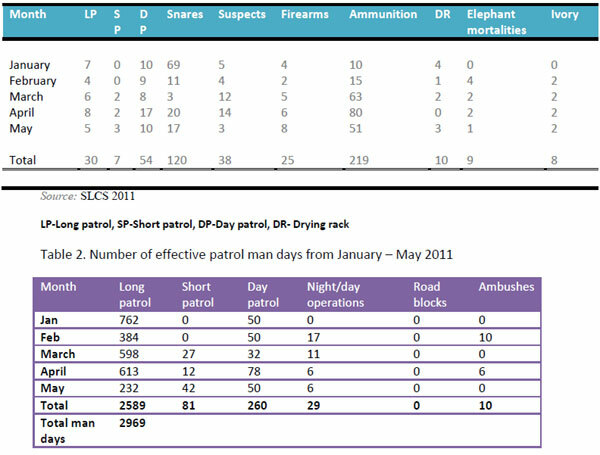 The 2010 wet season made certain that SLCS supported scouts were kept busy in the field, sometimes for up to twenty days at a time in bleak conditions. Snaring traditionally decreases in Luangwa during the wet season for a variety of reasons including, dense vegetation growth with the onset of the rains making it difficult to set and check on snares and, because wildlife is generally spread out due to availability of water making it difficult to have positive catches. However the anti-snaring teams did not relax in any of their duties and while regular anti-snaring day patrols were conducted, the scouts also took part in our annual wet season fly camp anti-poaching program. Fig.1. Anti-poaching patrol being deployed by boat during the wet season. During the wet season the park becomes largely inaccessible and safari bush camps close down resulting in an increase in poaching in remote areas. The fly camps act as a deterrent to poachers in these areas as the scouts patrol far from the base during long field patrols, covering a much wider area and allowing more chance to apprehend suspects. The fly camps consist of a temporary base camp, fully equipped with solar and radio communications. Eight scouts are deployed at a time and operate on a rotational twenty day patrol period to ensure that the areas are well covered for the duration of the wet season. From the base camps, long patrols, short patrols and day patrols are conducted routinely and the scouts are available for rapid action responses in the area. 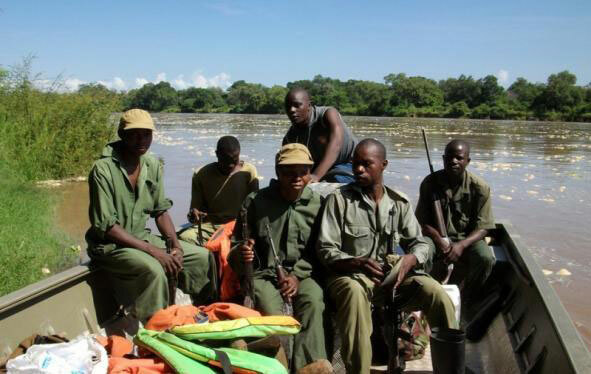 The effectiveness of the scouts is also enhanced by the availability of canoes and motor boats for river crossings, enabling them to react to illegal activities on both sides of the Luangwa River. Aerial support has continued where possible and the results and insight generated from just a few hours of aerial surveillance in a day are priceless. Despite not having generated many results in terms of identifying illegal activities and perpetrators, this can be interpreted as a positive observation. The most common pro-active role of the aircraft is to fly the boundaries (Luangwa River and Muchinga Escarpment) and internal areas regularly. This serves as an effective deterrent to illegal entry and illegal operations inside the Park. The regular presence of an aircraft over the park acts as a deterrent, and in the case of visual identification of illegal activities will give a distinct advantage in apprehending suspects. Fig.4. 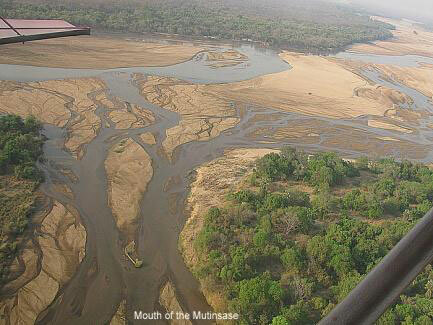 Aerial surveillance Mutinsase River, South Luangwa. In addition to the anti-snaring teams, SLCS scouts are also being trained by one of our partners, the Zambian Carnivore Program in field research and data collection techniques. While the direct and immediate benefits of anti-poaching work to wildlife conservation are obvious, one lesser recognized conservation benefit not typically associated with these activities is their contribution to wildlife research. Scout patrols cover immense areas of remote and road less land throughout the year, recording wildlife sightings, documenting animal carcasses, and detailing poaching activity in addition to conducting law enforcement work. 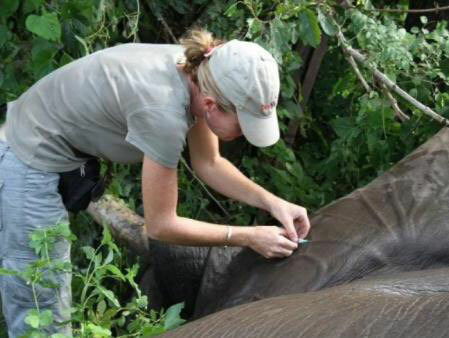 Data from sightings, the location of snares and poached animals, as well as biological samples from carcasses and from animals immobilized for snare removal can all provide invaluable data on a species’ presence, distribution, disease exposure, genetics, diet, movements and migratory patterns to name just a few uses. All of this information can then be incorporated into evaluations of a species’ dynamics, threats to its survival, and areas of high risk and conservation value. In recognition of this SLCS has increasingly teamed with the Zambian Carnivore Program to enhance collaboration and coordination in anti-poaching and wildlife research to benefit conservation. 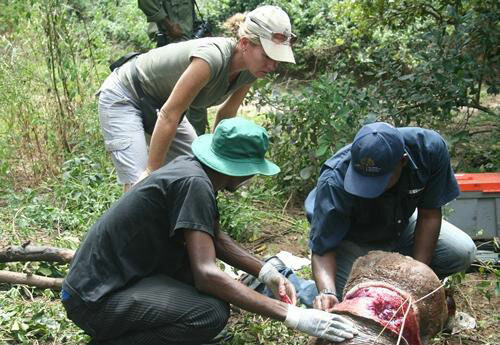 The SLCS darting and veterinary program is the only body responsible for snare removal, wildlife rescue and treatment in the Luangwa. 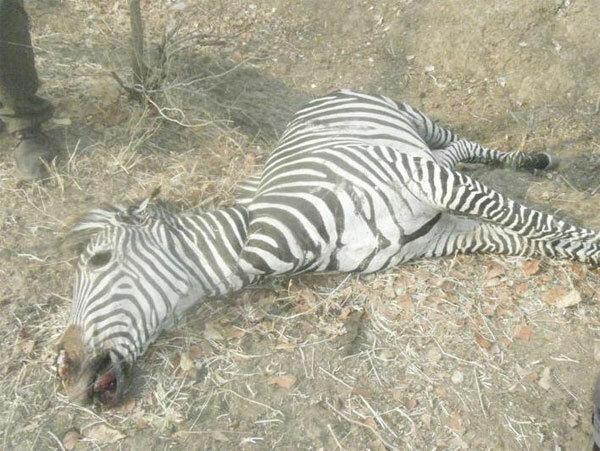 The Zambia Wildlife Authority’s (ZAWA) financial constraints in this department does not allow for these needs. To date the countless number of animals that have been rescued from snares and other man inflicted injuries has contributed significantly to their welfare. SLCS receives regular call outs and conducts all rescue and darting operations with a ZAWA scout / personnel. 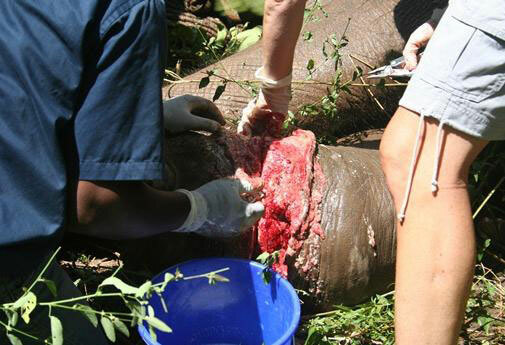 During the wet season snaring decreased and so rescue and treatment of wildlife has been fairly minimal. 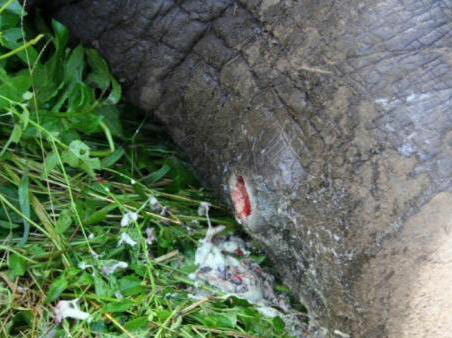 With the wet season over, reports of snared animals have started to increase and recently one three elephants and one puku have been immobilized for snare wounds and one elephant treated for a gunshot wound. We anticipate that this year will be critical for snaring and expect to spend an enormous amount of time in the field attending to snared animals.